We wanted to write to say thank you for our amazing trip. Bhutan was incredible. It was one of the most beautiful countries we’ve been to and the people are so warm and friendly. 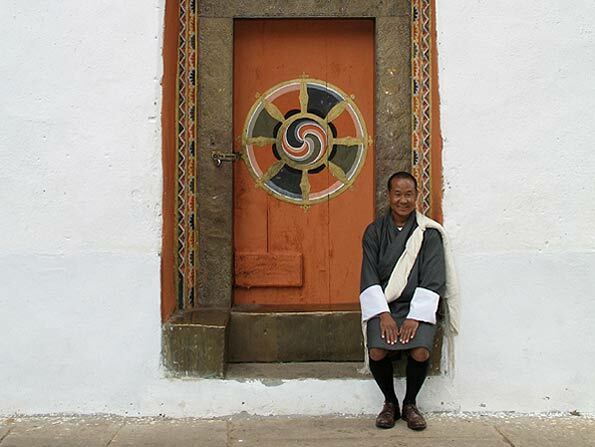 We have traveled quite extensively and must say that our guide in Bhutan was one of the best we’ve ever had. He was thoughtful, knowledgeable and friendly, and he really went out of his way to show us the local culture. It was such a pleasure to be with him for the entire week. We are so glad we took your advice on the hotels. We are already thinking about our next Artisans of Leisure trip and will be in touch. International travel gives children the opportunity to learn about the world in fun, educational and uniquely hands-on ways. 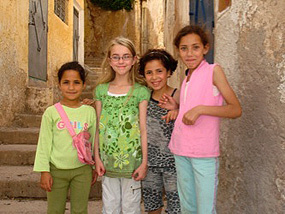 A good example is Morocco, one of our most popular destinations for families with children of all ages. 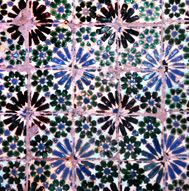 The Orman family recently traveled with us to Morocco, and they created a blog to document their wonderful experiences. Nine-year-old Catherine ("Cat") even wrote her own pages to capture her thoughts throughout their tour. The family has kindly allowed us to share some blog excerpts and photos from their tour, which included visiting a Berber village to have tea with a local family in their home, and riding camels across the sand dunes of the Sahara Desert to stay overnight in a traditional Bedouin tented camp. We recently traveled throughout Portugal to update our Portugal tours and have concluded that the country is truly one of the best-kept secrets for luxury travelers. Portugal combines much of what we love about Morocco and Europe: beautiful backstreets lined with buildings covered in Moorish tiles, a temperate year-round climate, fascinating history, elegant hotels and outstanding cuisine. For a great, week-long getaway to Portugal any time of year, our favorite tour is Exclusive Portugal. This luxurious escape features the incomparable Lapa Palace as a base for exploring the best of Lisbon; excursions to stunning towns such as Sintra, a heavenly hill town of country manors and gardens, fairy-tale castles covered in tiles, and mountaintop vistas framed by trees; and the Alentejo, a region of vineyards, olive groves, Roman ruins and prehistoric megaliths. 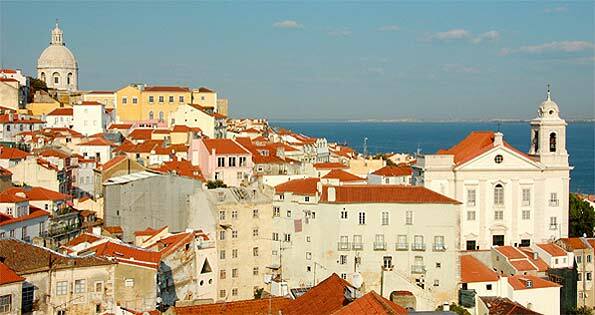 On all of our Portugal tours, our excellent guides and drivers are indispensable for navigating narrow medieval streets, finding hidden restaurants and specialty shops, and revealing Portugal’s rich brocade of Jewish, Moorish and other historic sites. Portugal also happens to be one of Europe’s best values, and it easily combines with Spain or Morocco to create a compelling tour of the region and its interconnected cultural histories. We now offer the most extensive selection of luxury Mexico tours available, including a culinary tour for foodies, a family tour that offers something for all ages and interests, and an in-depth Mexico City tour that is perfect for anyone interested in the city’s incredible art, design, history, markets, restaurants, and nearby ruins. Our Mexico tours give travelers a range of intriguing options in a destination renowned for culture, cuisine and history. Favorite activities include touring Spanish colonial churches, Diego Rivera murals, and Aztec and Mayan ruins; learning to prepare traditional recipes in Oaxaca; and visiting local markets and shops to browse for folk art. Contact us to learn more. Southeast Asia is great any time of year, but the winter months bring some of the best weather to the region, and it’s not too late to book for the coming season. Cultural treasures abound in Southeast Asia, plus the local people are friendly, the shopping is great, and the food is fresh and delicious. Some of our favorite activities include exploring the markets of Vietnam, seeking out lacquerware artisans in Myanmar (Burma), exploring jungle-covered temples in Angkor, shopping for bespoke clothing in Bangkok, and biking past rice fields on village paths in Bali. Many of our tours in Southeast Asia also offer ample time for relaxation at the beach or by your private plunge pool. Our most popular Southeast Asia tours include Thailand for Families, Highlights of Vietnam & Cambodia, Best of Angkor & Thailand, Highlights of Burma and Romantic Indonesia. Our travelers have long been asking us to offer tours in Dubai. While we have been doing so on a request basis, we are excited to announce that we now feature several on our website. The tours include flexible touring with a private guide and driver that focuses on Dubai’s most interesting neighborhoods and attractions. They also include stays at the legendary Burj Al Arab and other recommended luxury hotels, as well as overnight excursions to a luxury spa resort among sand dunes in the nearby desert. Our favorite option? Combining Dubai with Egypt or India. Travelers constantly ask us to arrange for them to experience “the real Japan.” We wouldn’t dream of offering our travelers anything else. But “real” can mean different things to different people. 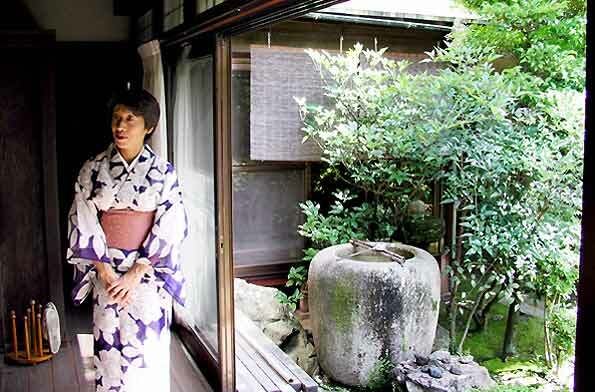 That’s why we use our unparalleled level of knowledge of Japan—we’ve spent years living in the country, have contacts throughout and return regularly—to customize every tour according to personal interests. Most of our travelers appreciate experiencing Japan in all its traditional and modern flavors: evocative hidden temples and masterpieces of contemporary architecture, centuries-old traditional crafts shops and frenetic stores piled high with the latest gadgets, upscale neighborhoods and trendy shopping streets, elegant kaiseki ryori meals and sampling snacks in department store food halls. To find out more about our Japan tours, or to begin customizing your own experience of the real Japan, contact one of our travel specialists. 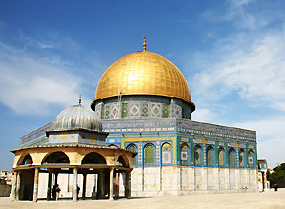 Our Israel tours are designed for travelers who want a sophisticated private tour of Israel’s history, culture and religious heritage, with an emphasis on luxury and, of course, safety. A highlight is the opportunity to explore Israel accompanied by our incredibly knowledegable guides, who provide an insider's perspective on everyday life in Israel, introducing our travelers to their favorite baklava shops, the best vendors for Jerusalem bagels, and little-known—and less crowded—beaches on the Dead Sea. All of our Israel tours include the most interesting historic and cultural sites in the country, from the Old City of Jerusalem to Bauhaus architecture in Tel Aviv. Our tours continue to be recommended in leading magazines, guidebooks and other publications. Departures recently profiled Artisans of Leisure in their Explorers Issue, noting our extensive connections, highly customizable itineraries and ability to arrange a wide variety of specialized activities in all of our destinations. Forbes, the International Herald Tribune and Frommer’s are among the many other media outlets that have recently recommended our tours.